Our L-banner displays are one of DisplayStar's most economical banner stand choices. They’re lightweight and easy to transport to your trade show or event space with a semi-hard carrying case that will protect your custom vinyl graphic. Set-up is easy and takes less than a minute with a single person. 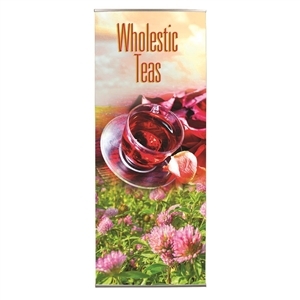 Use the banner stands alone or put several together for a dramatic banner backdrop. 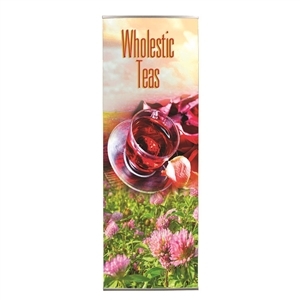 Choose our popular 2ft x 6ft banner display or super size your graphics with our stunning 3ft x 7ft banner stand. Our L-banner displays allow you to save money in your marketing budget! Our banner stand graphic vinyl is affordable, super durable and printed with vibrant, UV resistant ink. Each banner will last you through several trade show seasons without fading or breaking down.